Connect the Dots Ginger | Becky Allen: Watermelon, Say What!?! 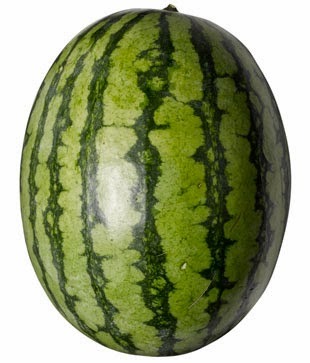 Woke up this morning to my pregnancy app that said, Baby is the size of a WATERMELON! I thought that watermelon was further along like 39-40 weeks but nope, apparently at 37 weeks my belly is bigger than a watermelon, cause the baby is the one the size of the watermelon. Sad fact: I am allergic to watermelons. Thankfully not to my baby. Kind of scared as to what size I will be next week! This week is my final concert with the Charlottesville Symphony Orchestra. Let's just say that playing the french horn with a HUGE belly has been a little tricky lately! Playing position, breathing (which is actually really good for me but really hard to deep breath), sitting for long periods of time without getting up! And having to hold going to the bathroom for long periods of time too (Don't you move baby!) Oy! 3 more weeks to go until I hit my estimated due date!